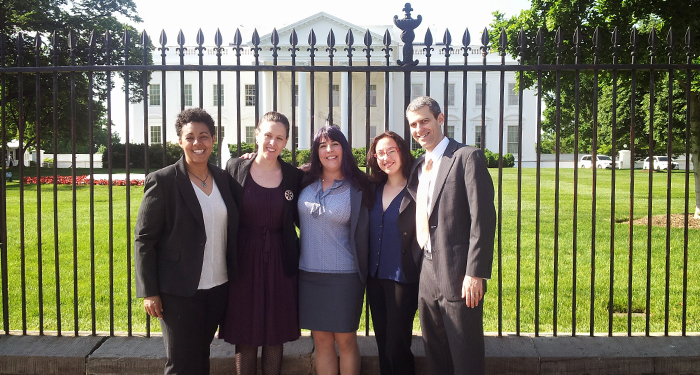 Great Cities Institute’s very own Economic Development Planner, Thea Crum was invited to “Promoting Innovation in Civic Engagement: Exploring Community‐Led Participatory Budgeting in the United States,” a convening at The White House on May 13th, 2014. The event was co-hosted by Participatory Budgeting Project to promote PB, as one of the 23 commitments in the second U.S. Open Government National Action Plan released in December 2014. The purpose of the event was to share best practices and identify next steps for expanding and deepening PB throughout the nation. Thea attended as an experienced practitioner and researcher, and spoke about the latest developments in PB and research efforts to measure PB’s impact. 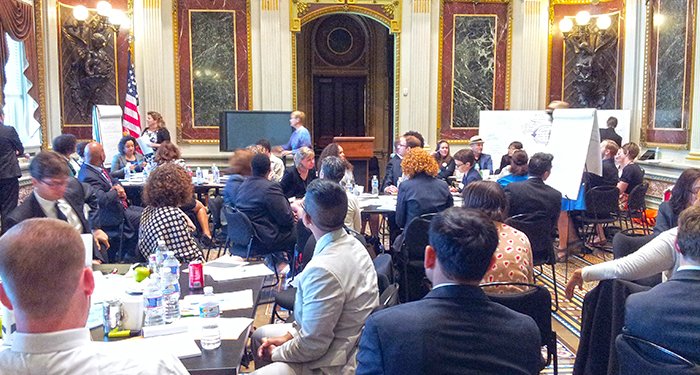 Key engagement, implementation, and research strategies were discussed with over 60 city leaders, community organizers, residents, funders, researchers and technologists from across the country, as well as representatives from the White House and federal agencies. For more on participatory budgeting activities at GCI, see our PB page.